By 10 September 2019 all goods vehicle drivers will have had to have completed 35 hours of periodic training and will need to have 35 hours of efresher training during every further 5 years. BMF’s approved transport advisers and its partner in the delivery of transport training are Prompt Training. They can help you identify the most practical, efficient and cost-effective way to manage your Driver CPC training programme to suit your business requirements and drivers’ training needs. We have a variety of courses available and the option to train drivers at your premises or at a range of venues nationwide. Most goods vehicle drivers must do 35 hours of periodic training every 5 years to keep their Driver CPC! 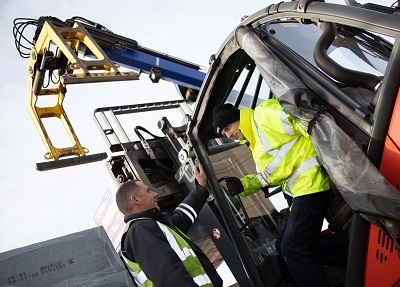 ‘The Driver CPC Course’ is geared toward being taken year on year, covering bite size pieces of the whole Driver CPC syllabus, whilst covering all relevant areas of a driver’s daily duties. Keeping you up to date with ever changing legislation and helping to protect both driving and operator licences. This course provides an overview of the key elements covered during a driver’s daily duties. It is designed to be undertaken year on year, to consolidate knowledge by way of refresher training or act as an excellent starting point. The course aims to reinforce the vital aspect of good customer relations and to encourage drivers to follow best practice aswell as compliance standards. It details any legislation/external environment changes, providing straight forward advice and guidance, helping to protect both driver and operator licences. Also examined will be legislative updates, including the role of enforcement authorities and possible consequences forthe driver and operator in the event of non-compliance.Drivers will be given the opportunity to gain knowledge through discussion and interactive learning, consolidating this knowledge by way of practical applied exercises. To book your place, please make sure you are logged in. The cost of the course is £95.00 per person, plus VAT. Please note that there is on site parking at the venue. Lunch and refreshments will be provided, please advise any dietary requirements on booking.